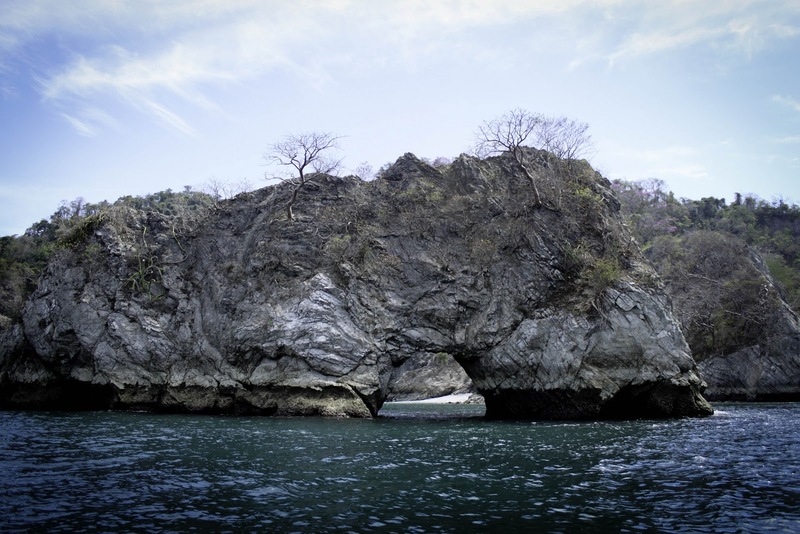 Montezuma was the next destination on our trip. This town was off the beaten path as we had to trek through miles of rocky dirt roads to reach it. When we first arrived, I have to be honest. I felt out of my comfort zone as we searched for a place to stay. Accommodations were far from luxurious. And let's be honest, I'm dressed head to toe in JCrew and my bag has a curling iron in it. People are driving by me on quads in bathing suits and half the town has dreadlocks. I was sticking out like a sore thumb. Eventually, we found a spot with a clean bed and AC. 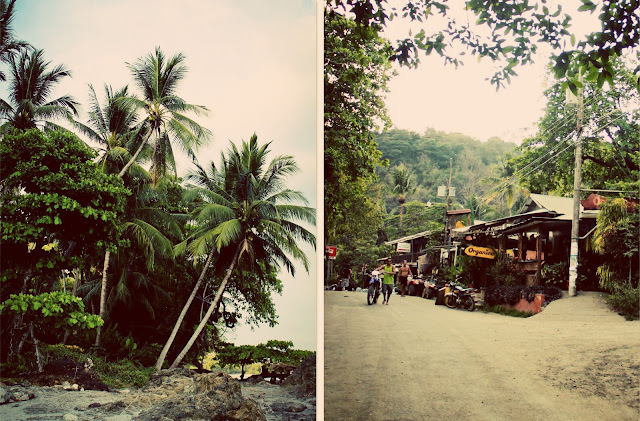 Once we settled in, we were able to explore the town and the beach to see what they had to offer. And really, I acclimated quite well once I surrendered my American ways and went sans makeup and hair. When it came to clothes, less was more in the hot and humid weather; bare feet were optional. The town is filled with hippies and yogis, and has a super laid back vibe. There are hand made jewelry makers on every corner, yoga studios, and some really good places to eat. We signed up for a snorkel adventure tour of Isla Tortuga on our second day there. We both don't like doing "touristy" things, which is why we make close to no plans when we travel. 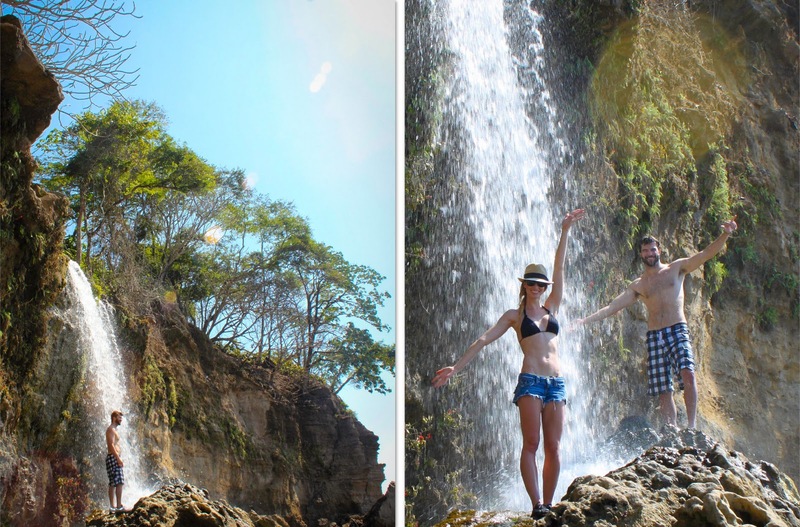 But, this turned out to be one of our favorite days in Costa Rica. We were able to swim in the warm waters and see some really cool sea life. We had a chance to wander the island, and meet some really interesting people from all around the world with extremely different walks of life. On our third day there, I got to cross off something on my list; horse back riding on the beach. I have ALWAYS wanted to do that! 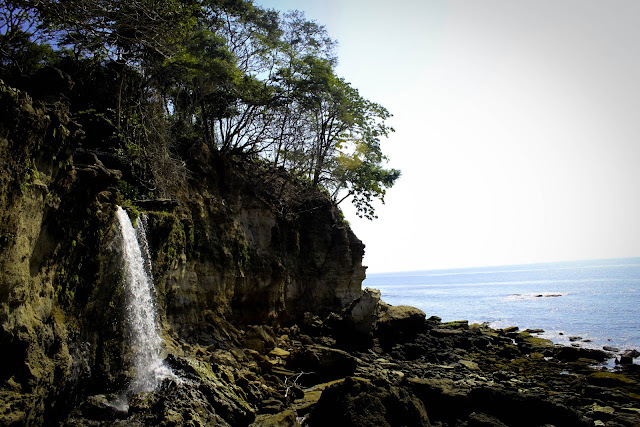 The views were amazing as we journeyed through forest and sand to reach our final destination at a cascading water fall. Throughout our stay, I enjoyed watching the locals playing futbol and shopping at the local market for fresh bread and treats. I loved walking the beaches and watching the sun disappear as she ushered in the night. I cherished long talks with Husband, pondering the secrets of the Universe, as we sat in the sand staring up at the vast canopy of stars in the sky. That same sky, written by one hand, as it has always been. I can still hear the waves softly crashing against the earth. And picture the color of the ocean without any moon. I grew really fond of this place after only spending a few days there. In fact, I felt like I belonged. Even though home was so far away. 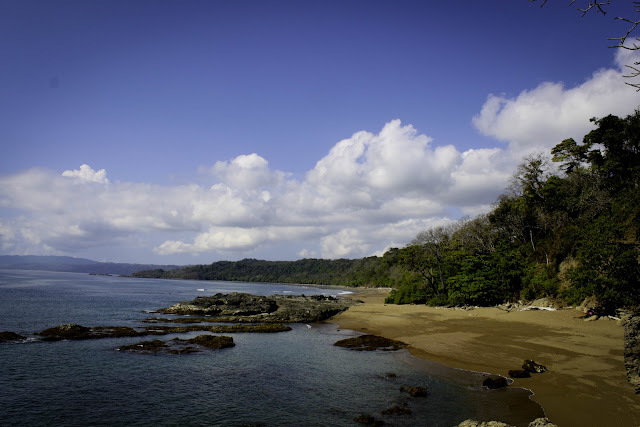 I think the biggest lesson I learned on my visit to Montezuma was to judge less, and be open. Be open to all that surrounds you. Because if you don't? You miss out. You miss out on meeting people that you probably would never come across in your ordinary life. You miss the beauty of the simplicity. You miss the magic of a single moment. But most of all, you miss the extraordinary journey. Ok, WOW. Thank you for just confirming 200% that I need to go to Costa Rica ASAP. hippies and yogis?! this sounds like my kind of beach town (: looks AMAZING!!! you are killin' it in that bikini! work it! your trip looks sooooooo amazing! what an experience to remember what your partner. Beautiful couple! Beautiful pictures! What an awesome vacation you two had! (I say this inside a blue cubicle...so you can only imagine how bad I want to get out of here and be in these pics haha). Normally when I look at other people's vacation photos, I want to go where they traveled. When I look at yours, I want to go to the gym! You look great! That final photo of the beach and the sky confirms what I suspected: Costa Rica could very well be my happy place. You guys are friggin secksy! Holy crap! It looks like, and sounds like, y'all had an amazing trip. I'm all for going without hair and makeup while on vacation. It just makes things a lot easier! This post's and last post's pictures are amazing!! Looks like you guys had such a great time. I wanna go there now. 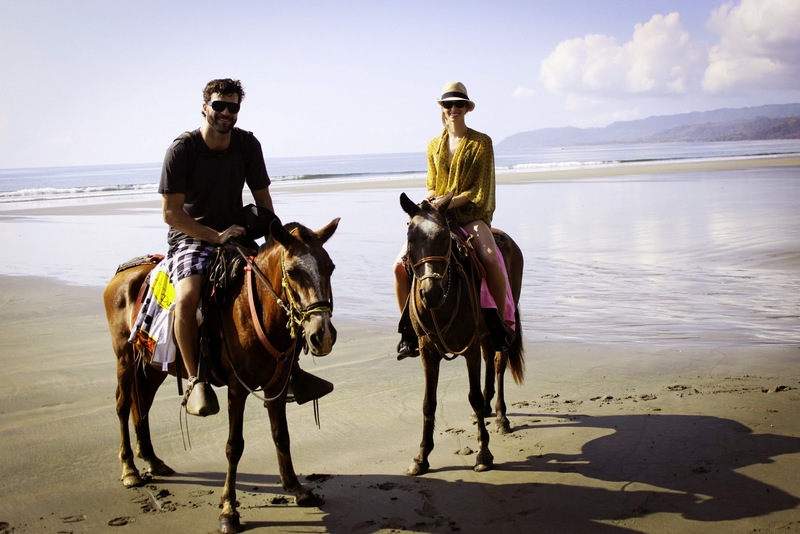 I'm so jealous you guys got to ride horses! ..and those bracelets!!!! ugh, i need them!!! more beautiful vacation pictures! love them! your pictures are incredible. LOVE! Great photos Katie! 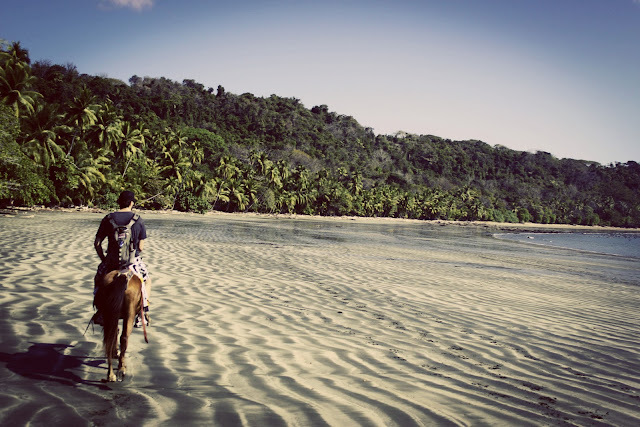 Horseback riding on the beach?! Wow. That would be awesome. I'm glad that was fun. Although, how could it not be?! Love what you said at the end of your post about being open to all that surrounds you. Looks like such a great time you guys had. 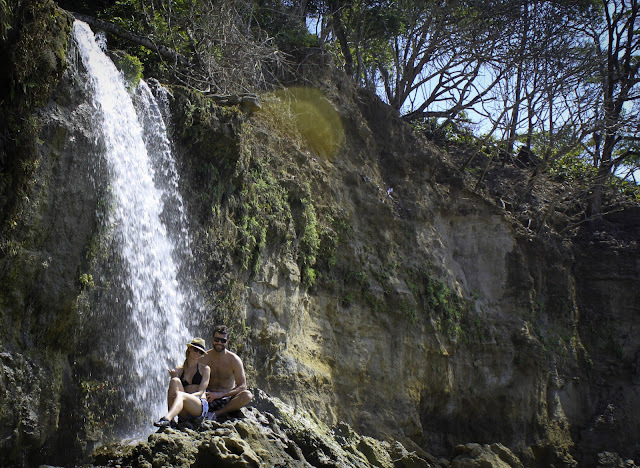 And Costa Rica, specifically that area you were at, seems like an awesome place to visit one day! My husband and I went to Costa Rica for our honeymoon! 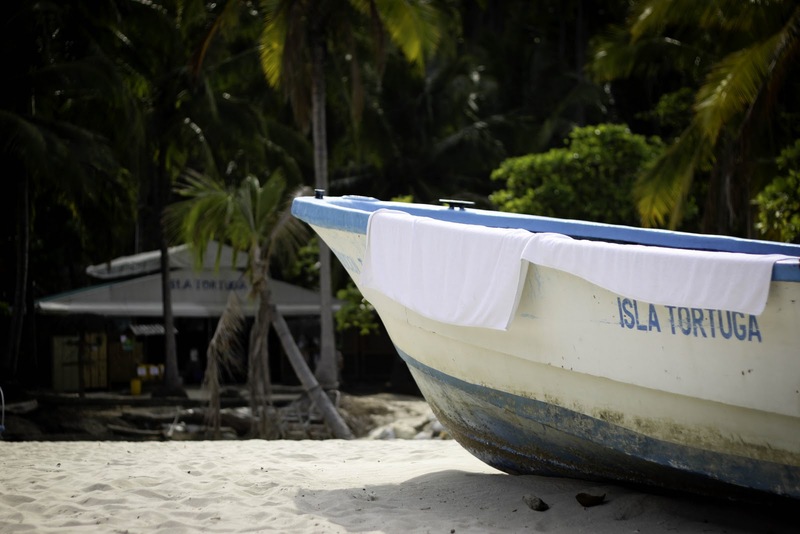 I had a similar experience...we went to the East Coast - Cahuita was where we stayed! Same thing...waYY out of my comfort zone. 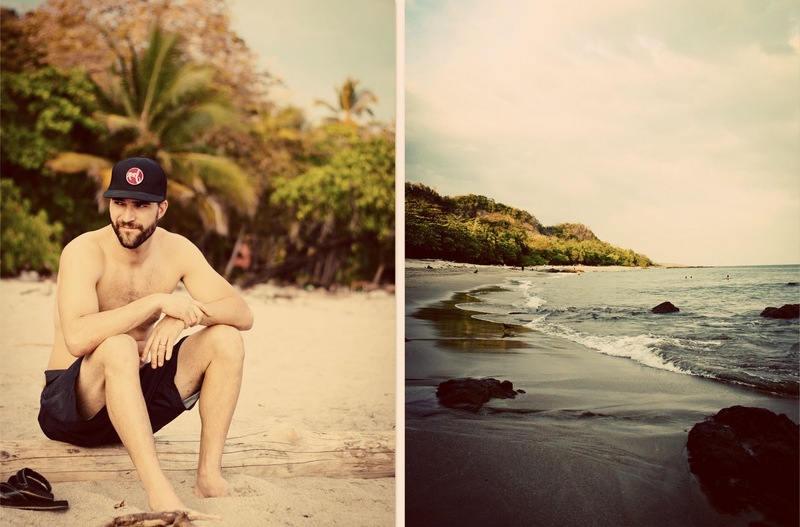 This is so well said and I'm so jealous of your Costa Rica trip! I love that you don't over plan your vacations. I think that's the best way to go. Vacations are for exploration and relaxation and if you plan too many activities, you'll wind up missing out on both! 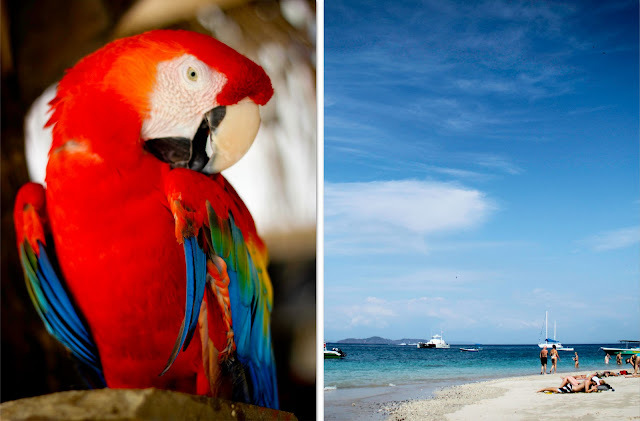 Gorgeous pictures, oh wow, now I want to take a trip so badly! Jeez looks beautiful! Amazing photos and the story! I loved it! Wow it looks amazing!! I'd love to go. And p.s. You look amazing sans make up and hair! I would love to look that great in a bikini. How do you do it? Have you ever done a post about your fitness routine? You are in AMAZING shape! A-MAZING!!! can I say that one more time? A-MAZIIIIIIINGGG!!! really love the photos of your beautiful vacay! you both look gorgeous and in bliss together! the place is paradise! love love your cute fedora! 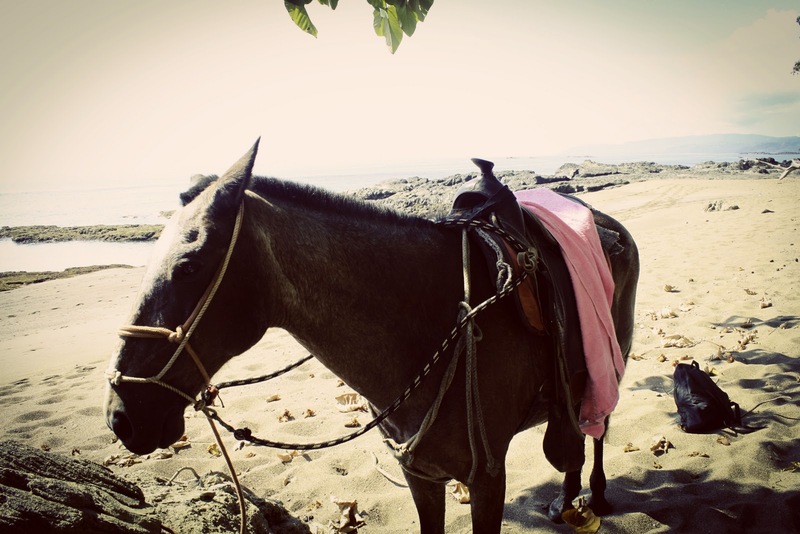 and can i just sat, you still look glam even when horseback riding! haha! it's so hard to just surrender sometimes and engulf yourself in another culture and allow yourself to just "be". As Americans we're so engrained into certain behaviors and ways of "looking" at our ourselves to feel beautiful and such, but i'm sure it was a nice change of pace and kind of breath of fresh air to just enjoy, relax, admire and soak in all the people and places you encountered and not worry about makeup and hair and such. You still look 100x better than i ever would, but still...hahaha!! I realize I've had 400 kids so my body is way different than yours, BUT could you pretty please post a "workout routine" blog post? For those of us who need some motivation or inspiration so that someday i can look a 1/3 as amazing as you do in a bikini?? ;D THANK YOU!! Wow! Love your photos. 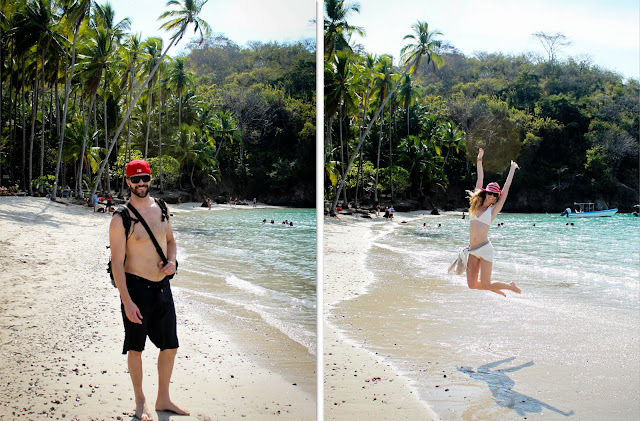 We went to Costa Rica this past June for our honeymoon. Seeing your vacay makes me miss it! Such a wonderful country. Fantastic Photos and I love how you divided them into fun sections - easy for your readers to follow along on your vacation! plz share with us ur secrets on how your body is so amazing!! You guys are so cute. I'm dying for a tropical vacation all of the sudden. I just discovered your blog! cant get enough of it! victoria secret needs their model back. seriously. giselle has nothing on you!!!! i cannot wait to head to costa rica one day! This is too fun! I'm geeking out because we went to a lot of these same places! 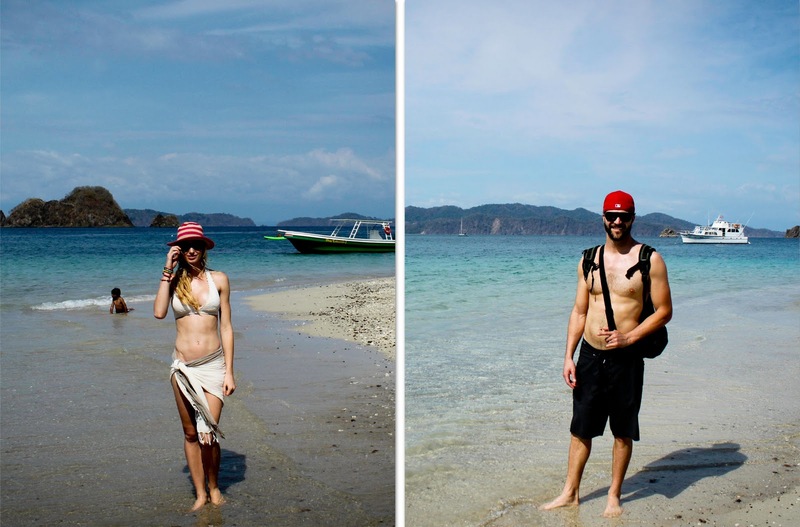 Loved Isla Tortuga. And that sweet parrot (who loves Doritos, by the way)...isn't it fantastic there? I have to confess that I found your blog and have spent an obscene amount of time reading back through most of it! I love your fashion, taste, writing technique and joyful attitude. I also love that you share bits of your marriage and help remind girls that beautiful ones DO exist!! Amen, amen. Excited to follow you! beautiful pictures! I visited there a few years ago - did you hike to the top of the waterfall near the town?